The modern manifestation of mummy studies began to take shape in the 1970s and has experienced significant growth during the last several decades, largely due to biomedical interest in soft tissue pathology. Although this points to a vibrant field, there are indications that we need to take stock of where it is today and how it may develop in the future, and this volume responds to those demands. In many ways, mummy studies and skeletal bioarchaeology are "sister-disciplines," sharing data sources, methodologies, and practitioners. Given these close connections, this book considers whether paradigmatic shifts that influenced the development of the latter also impacted the former. Whilst there are many available books discussing mummy research, most recent field-wide reviews adopt a biomedical perspective to explore a particular mummy or collection of mummies. The Bioarchaeology of Mummies is a unique attempt at a synthetic, state-of-the-field critical analysis which considers the field from an explicitly anthropological perspective. 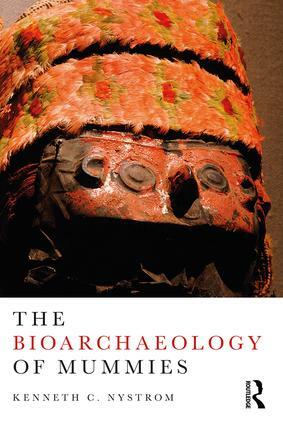 This book is written for both skeletal bioarcheologists that may not be familiar with the scope of mummy research, and mummy researchers from biomedical fields that may not be as acquainted with current research trends within bioarchaeology. Kenneth C. Nystrom is an Associate Professor in the Department of Anthropology at the State University of New York at New Paltz, USA. His research interests center on examining the interaction between biology and culture and how we can reconstruct behavior in the past by studying human remains.